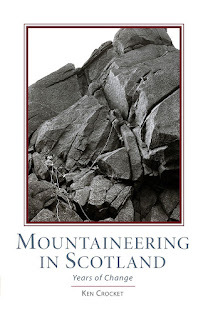 The second volume in the Scottish Mountaineering Trust's epic history of Scotting climbing - Scottish Mountaineering: Years of Change - is another essential addition to the mountaineer's bookshelf. Written by author and climber Ken Crocket, who also penned the first volume ('The Early Years'), Ken Crocket's long involvement with the SMC makes him a reliable leader in this complex territory: his attention to detail and evidence exhibits the editorial rigour these volumes require, without losing that sense of drama required for the retelling. The heady mix of legendary climbing characters who populate this volume give the narrative focus as it takes an intriguing traverse through the various clubs, 'scenes' and individuals who seemed not only to climb the best routes, but who also seemed to rope together the changing generations as Harold Raeburn and Jimmy Bell gave way to Jock Nimlin and WH Murray, who in turn passed the baton to the likes of Jimmy Marshall, Hamish MacInnes, Robin Smith, John Cunningham, and Tom Patey, who are legendary new-routers all given due attention and context. The history of climbing in this 'golden era' from 1914 to 1971 includes the debilitating effects of two world wars, but also includes the revival of exploration on the Scottish mountain crags which began to explore the steeper, blanker walls as the technology changed. The author gives due attention to the development of new technology such as the ice axe, including Hamish MacInnes' legendary drop-head ice-axe which was christened 'The Message', without which modern technical mixed climbing would not be possible, as well as the invention of the longer, lighter 'nylon' rope in the late 40s (which was dynamic and stretchy, allowing the possibility of safer, longer falls). Boots were still cumbersome and front-points for winter were still some way off, so many summer and winter routes still relied on a bold approach with a requirement for long sieges on walls, a single-mindedness, strong legs and the ability to force technique through steep ground, despite still relying on the intermittent protection of pegs, slings and often no more than a steady head. The epitome of this approach was Robin Smith's ascent of Shibboleth on Slime Wall in Glen Coe in 1958, which required several visits due to onsight setbacks, necessities and accidents (his second Andrew Fraser breaking his leg in a fall and requiring a legendary and impressive rescue). The recounting of these first ascents reminds us how information was received through the fingers, not the internet, and how impressive it was to climb without beta with little sense of what lay above. 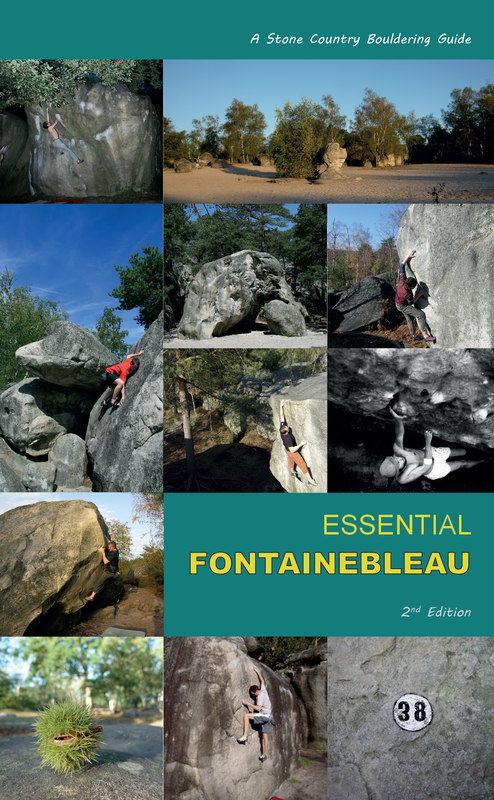 The book is divided into both chronological and geographical chapters, with periods of key development attributed to new club scenes and city 'weekenders' as climbing and mountaineering became a popular weekend leisure activity being democratised somewhat by the opening of road routes and the affordability of cars and motor-bikes as much as cheaper public transport. The key introductory chapter 'A Shadow of War' shows the true cost of WW1 on some key Scottish mountaineers. The sheer number of casualties must have included numerous unnamed mountaineers, but key victims included Charles Inglis Clark, T E Goodeve, and indeed Hugh Munro who contracted pneumonia on top of wartime malaria and passed in 1919. Interestingly WW2, whilst just as withering to the climbing populace, paradoxically led to an advance in technology. Many soldiers and navy personnel had used the Scottish mountains and coasts as key habitats for training (rope, axe, navigation, clothing and boot technology all improved whilst rations declined). 'The War Years (1940-1944)' chapter and the 'Post-War Breakthroughs (1943-49)' chapter continue the theme of technology and the opening of the crags to a more technical approach, as well as older climbers (Bell, Mackenzie, Murray) acting as mentors or at least trend-setters for a new generation (Smith, Haston et al). This a detailed and absorbing history of a multitudinous activity, involving a variety of geologies, areas, clubs, individuals, even, and perhaps especially, social classes (but maybe that theme is more for the sociology textbooks). The character of Scottish mountaineering is not something that can easily be pinned down to a unique epithet or single approach - indeed the classic 'mixed' territory of Scottish mountaineering (winter ice, snow and 'mixed' ground; summer 'trad' and cragging) is perhaps its overarching if slightly elusive characteristic in this era, when free adventure and exploration was still the kick, and the Scottish mountains were largely untouched by the information overload and the refined styling of modern climbing. Crocket also does a fine job of showing how Scottish mountaineering had such an impact on the development of modern international climbing (in the Alps and beyond). This a book which rewards rereading and will become a key reference work for those looking for a little more detail and context than found in the first ascent listings and sector introductions of guidebooks. The focus on some key routes and their first ascents provides an entertaining rope for us to follow, and the knowledge of the differing geologies and characteristics of these routes is something no-one other than a climber dedicated to Scotland would be able to recreate. The production of the book is clean, rugged and functional, and hefty at 374 pages - so it's great value for money at £25 and fits snuggly into the growing list of the SMT's general reference works. 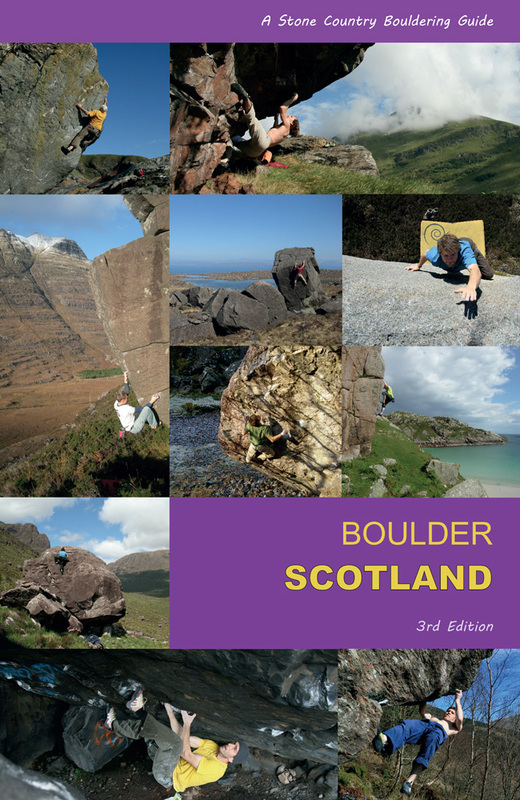 The photographic plate sections provide some rarely-seen or indeed exclusive shots from the archives, such as Roger Robb's 1960s early colour shots of Skye; a cracking Narnain boulders bivi shot of the 1925 JMCS; and some interesting 'Creag Dhu' photos of John Cunningham on Punster's Crack and Eric Taylor on Gallows Route. In this image hungry era, it may have been good to see more photographs in print (though granted it's an expensive luxury) but perhaps an SMC online appendix could be created for these books, showcasing the many images from the archive? Ken Crocket brings a black and white era into a Kodachrome era without losing any sense of colour for the older generations, indeed his lithe writing style and his magpie eye for a shiny detail brings a light touch to what could be a heavy wade through the deep powder of historical record. Thankfully the author has blazed the trail for us, leaving us the luxury of considering where we are now with all these remarkable ghosts climbing beside us. A tremendous achievement and a challenging lead for the the author of the 'modern' volume to follow! The book is available on Amazon of course, but also on the SMC website here.